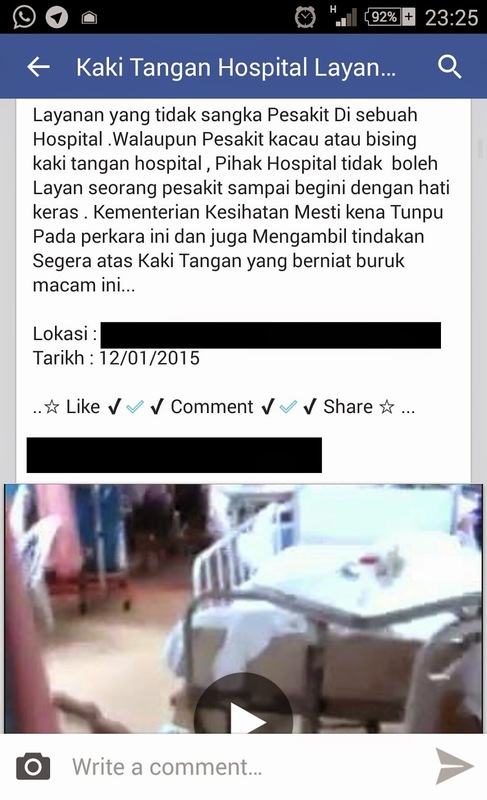 " The nurses and doctors in this hospitals are inhuman letting this person lie on the floor. The government should take action! " " I also kena like that, the staff so bad one "
" I heard my neighbor's, uncle's friend to his neighbor also treated badly by the staff at Hospital X "
" They just leave him like that because he is RACE X "
1. Can't this person (taking the video) put down the phone and just call for help? If you shout tolong, tolong for sure someone will come one! 2. Why wasn't an official complaint lodged? Did anyone inform the nurse, sister or matron? We have a system in place. Not too long ago, a health center I was in charged of received a formal complaint letter from a member of the public. My staff attended to the complaint within 24 hours and resolved the problem within 2 days. Just don't complain and not write down the exact details of the incident. And please, please, please write down a proper name and contact number. Please don't write down LADYGAGA! 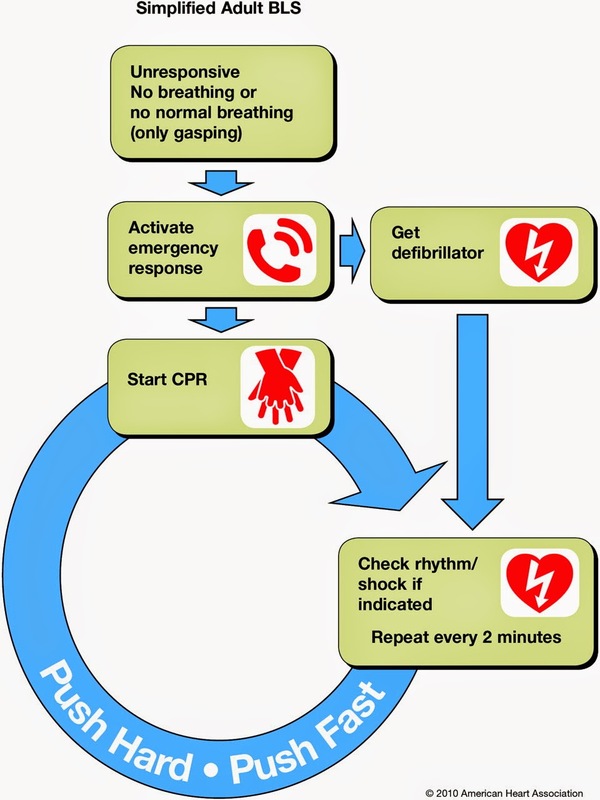 If you really want to help, here are the steps according to the Basic Life Support Guidelines by American Heart Association. If you are not part of the solution, don't be the problem.